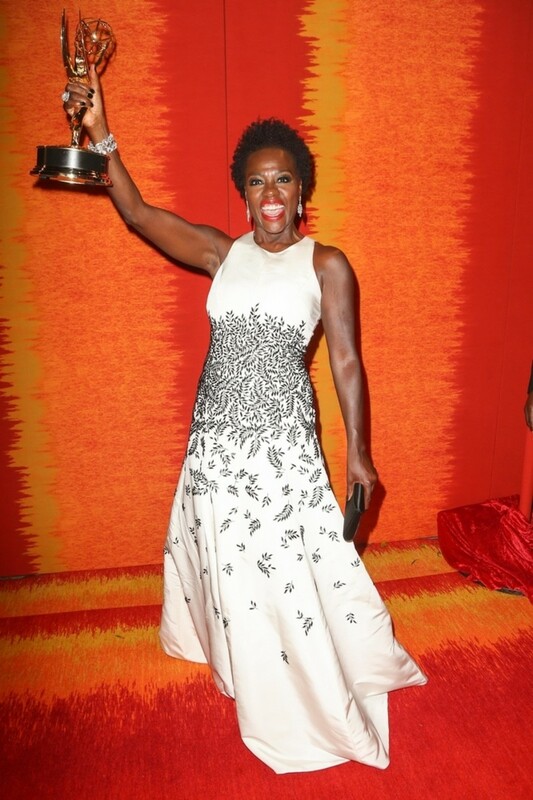 Viola Davis should be fielding questions solely related to her historic Emmy win in the lead actress category. However, General Hospital actress—and fellow Disney/ABC employee—Nancy Lee Grahn&apos;s tweets about the How to Get Away With Murder star&apos;s speech made global news. In an interview with The New York Times, Davis shared why Harriet Tubman was on her mind as she gave her acceptance speech. My husband and I are doing a Harriet Tubman project, and when it was picked up by HBO, one of the producers sent me that quote. It struck me in such a huge way because of its progressiveness, so it stayed with me ever since, and that’s been several months. I just felt it was apropos, seeing that no woman of color has ever won in that category. That moment had to be acknowledged, or else it would be a missed opportunity. It would be one of those moments I would look back on, and I would have regretted it. If there has been any backlash, it’s that all people want to feel included in a speech. I know there has been some backlash with an actress who didn’t feel she was included. When Davis was asked about Grahn directly, she took the high road. Yes. I don’t know that I want to say more about that. Classy response to a tacky outburst. Nancy Lee Grahn: "My Commitment to Equal Rights, Fairness And Justice For The Disenfranchised Has Grown Even Stronger"